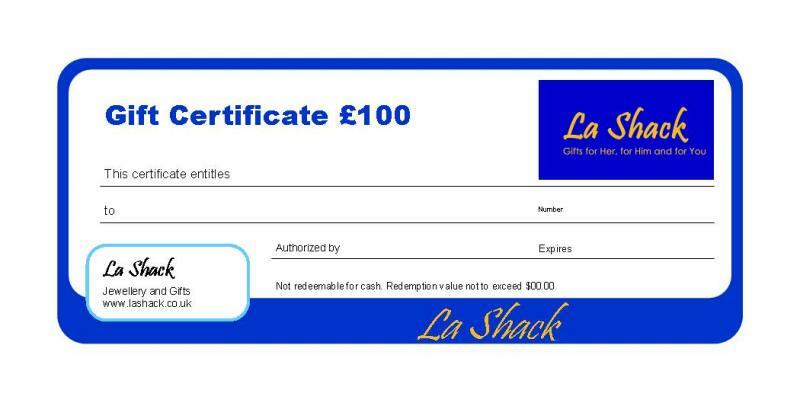 A £100 gift voucher redeemable for any product on the La Shack website sent post free to the address of your choice, we can even include a gift message. A thoughtful gift for any occasion, buy in multiples with other value gift vouchers to reach the required amount for the gift you wish to give. Send to as many as 10 addresses with a gift message for each one at the checkout stage.